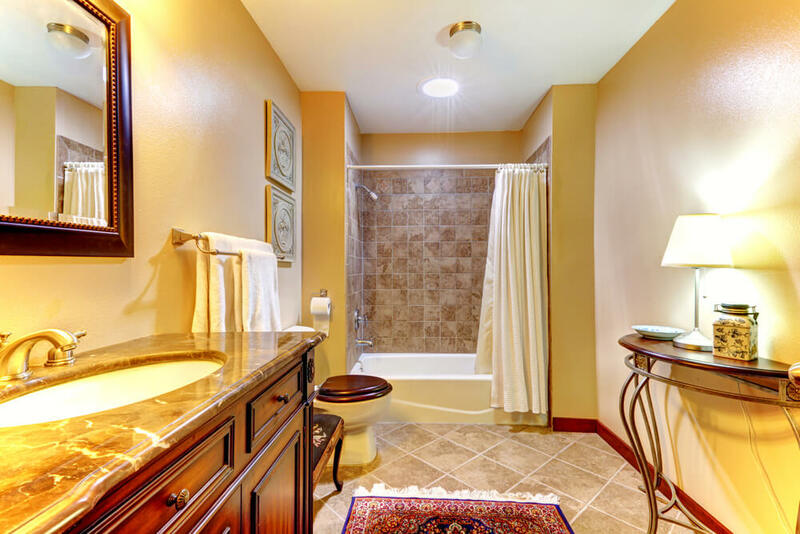 Need bathroom ideas for your home? 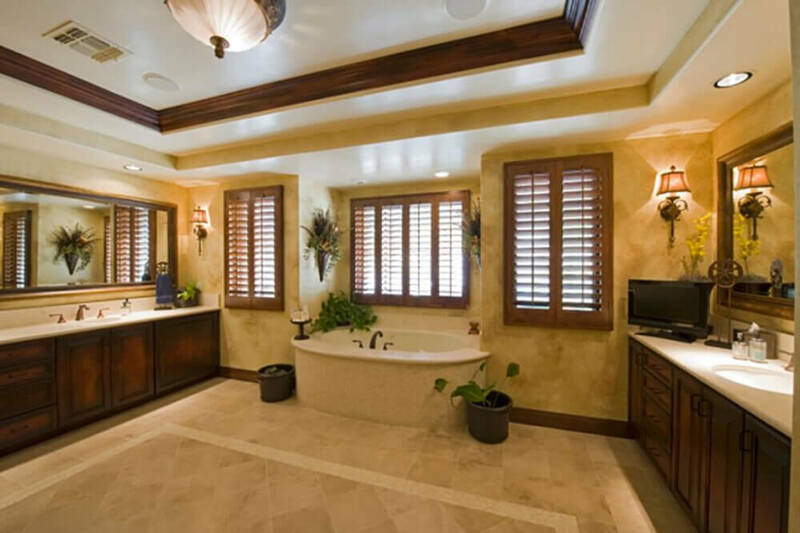 Check out our beautiful bathroom and design ideas that will inspire your remodeling ideas! 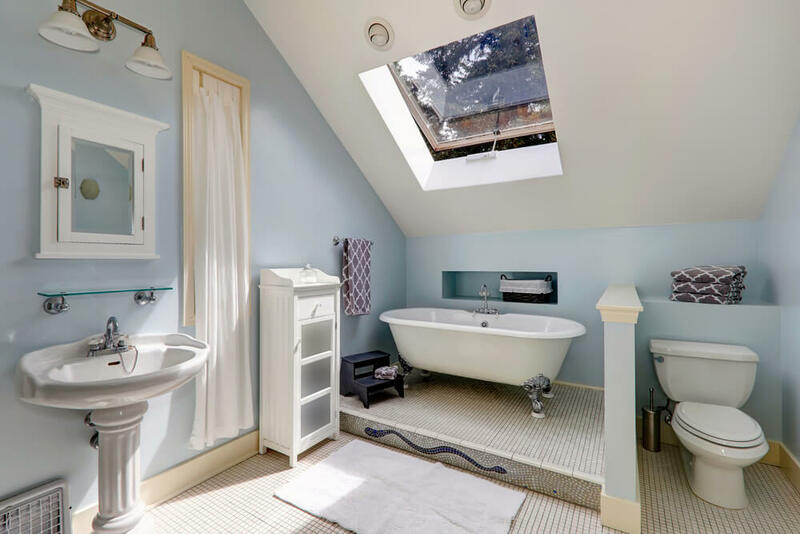 Despite the tiny space, the bathroom is arguably one of the most important rooms in your house. 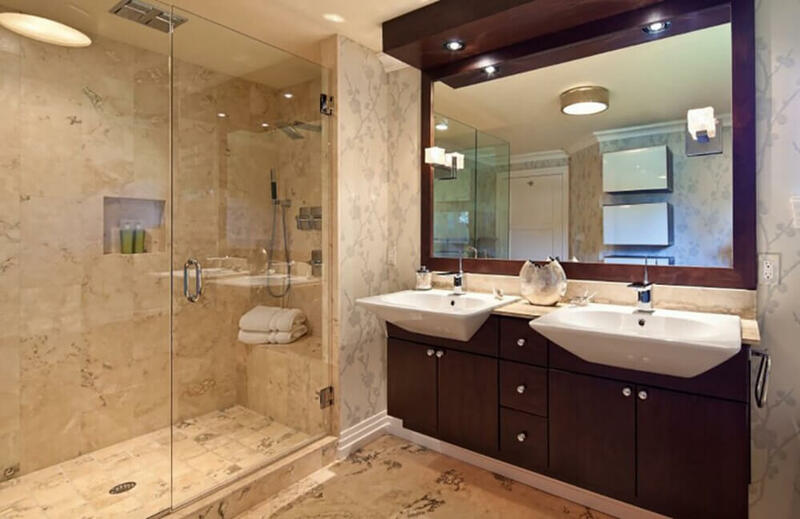 When choosing a design for your bathroom, one should take many things into consideration: amount of intended users, your typical morning/evening routines, etc. This is your home, after all, and everything designed in your home should serve you. Now is the time that you take that paint brush and putty knife in your hand and get cracking on something that’s truly satisfying to do. 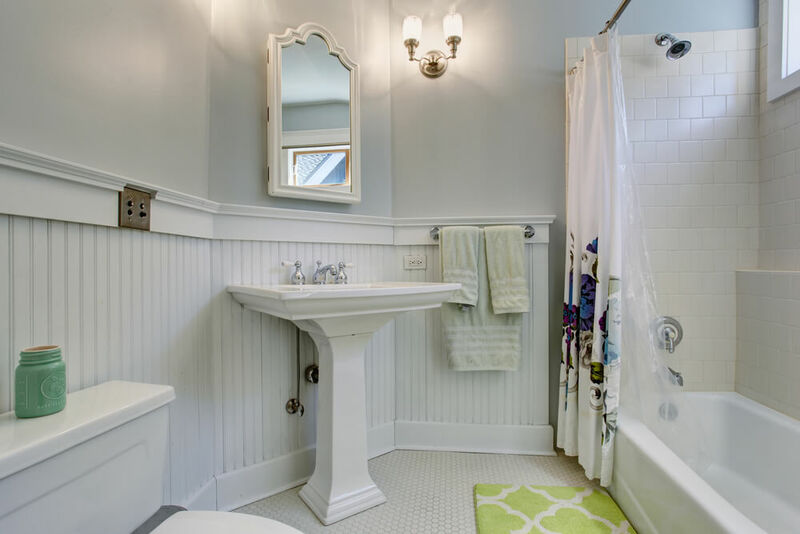 Building an inspiration board is step one to finding your perfect bathroom design. If your inspiration board seems inconsistent in some way, find out why you love these things on the board and build from there. Say you’ve got magazine clippings of seemingly random things…but do they all share a similar color? Do they all remind you of anything? 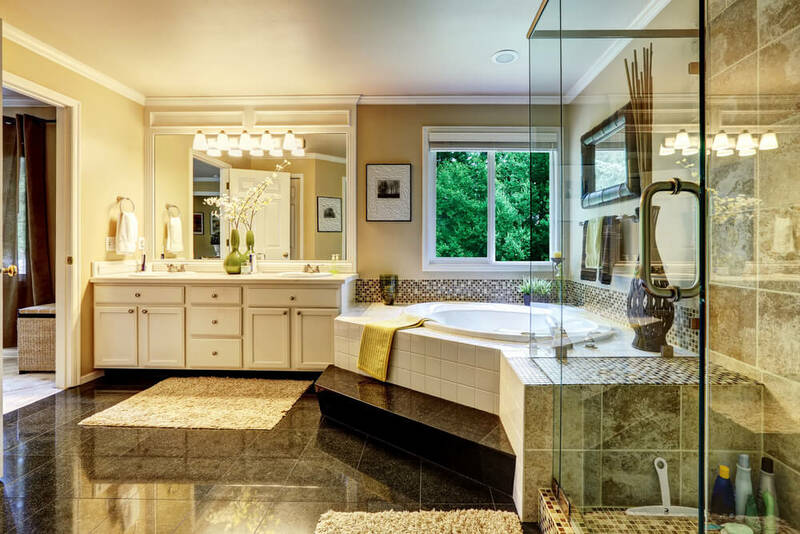 Finding a clear goal for your bathroom’s design is key, and it should still coincide with the theme of the house itself. 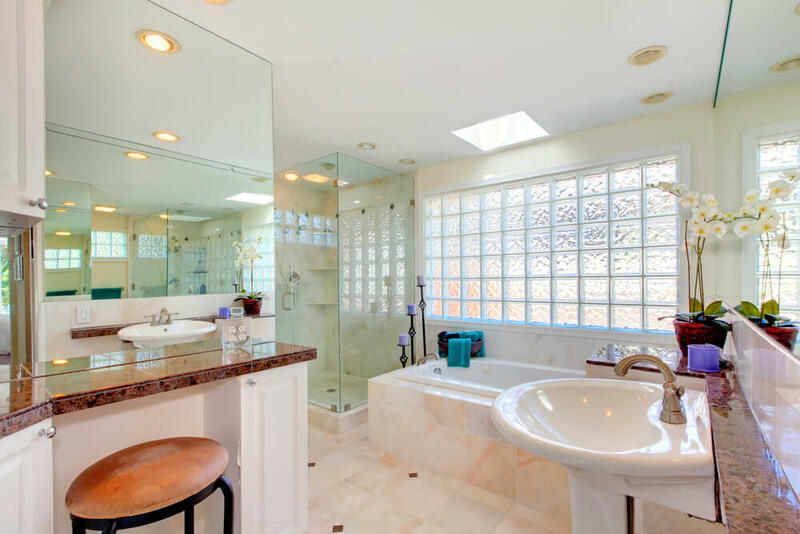 You wouldn’t necessarily want a modern New York Loft style bathroom in a Spanish Mission-style house. If your style is more Italian villa, you may be able to stick with a rustic country theme, though, as they share similarities. The bathroom is a very personal room. 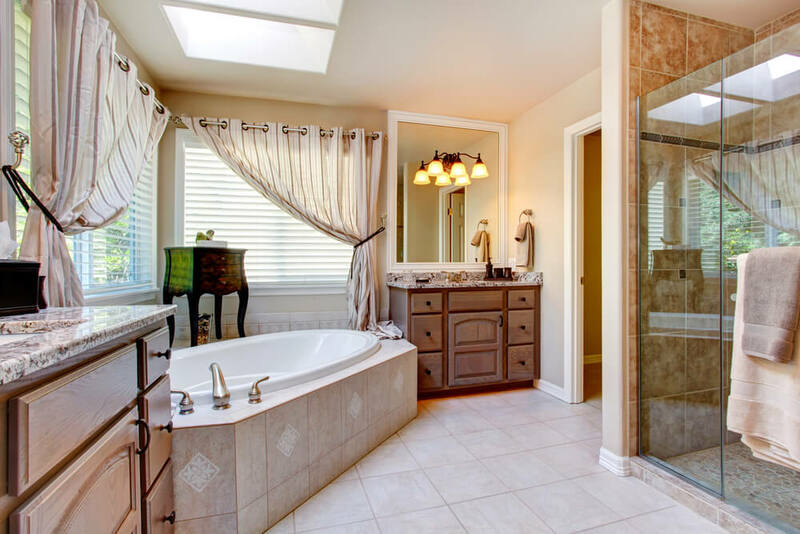 While your living room or kitchen can be personal, nothing is quite so personal as the bathroom. After all, we do personal things in the bathroom, and it’s a very unique space in our homes in the sense that it’s for one thing: function. Nobody comes over to your house for a cocktail party and everyone convenes in the bathroom. You don’t have a barbecue and invite all of your guests sit to eat ribs over the bidet. 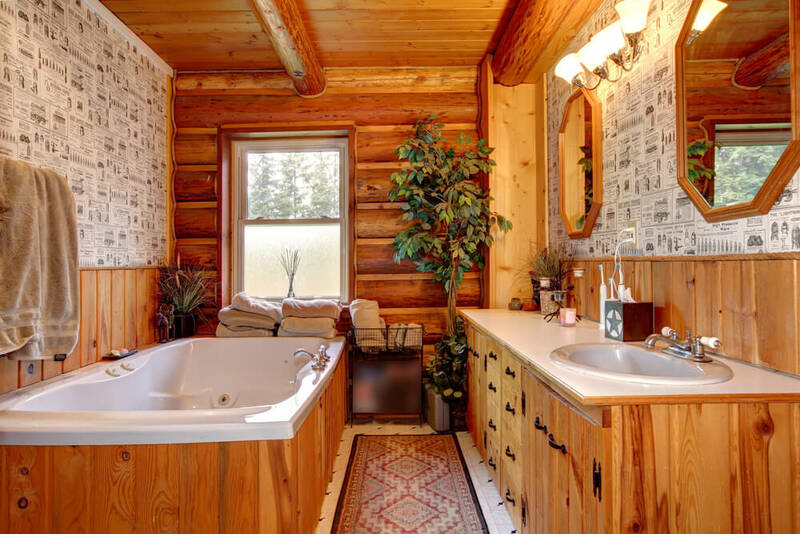 The bathroom is a functional space and therefore unique, like your thumbprint. Because of the small space, your bathroom’s design should reflect a very compact version of you and your familial personality. There’s no room for “too many cooks in the kitchen” in the bathroom; find an idea, stick with it, and compromise on smaller things within a constrained theme, should you be designing this as a family project with your housemates. If there are too many ideas and everyone’s too strong-willed, just choose a color that everyone can agree with and run with it. 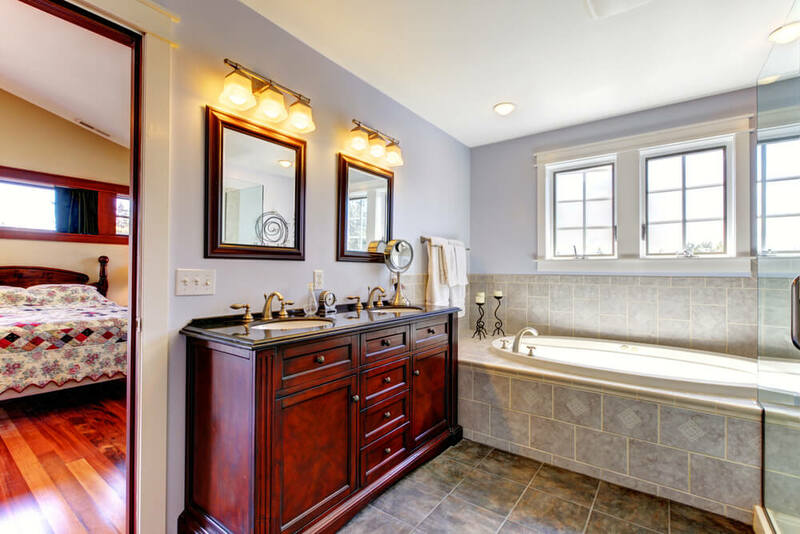 You’d be shocked with how stunning a bathroom’s design can become when using a color as the tying factor and taking design elements from many different schools. 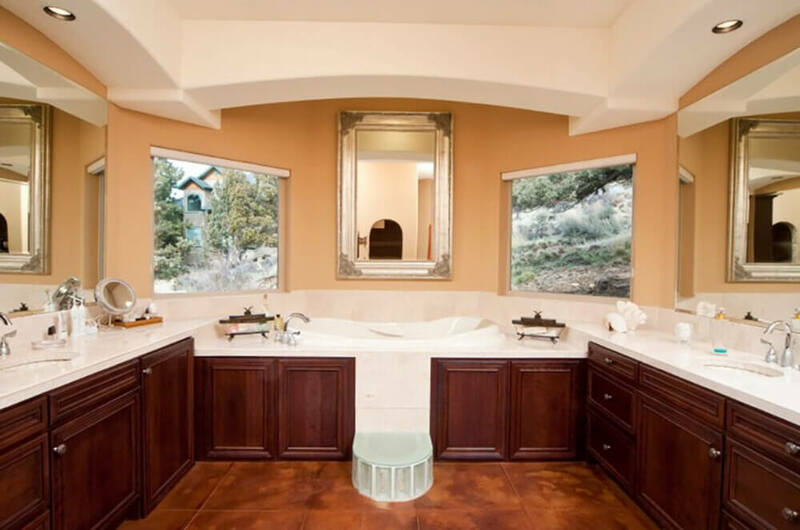 Everything will look entirely unique to you and your home, which is the ultimate goal of your bathroom’s design. Will this be a facelift or a page-one-rewrite? Determine your budget and what you can afford to skimp on and what you can splurge on. You’d be shocked as to how cheap you can find tub and plumbing fixtures at architectural salvage yards, a Habitat for Humanity ReStore, etc. My own parents redid their entire master bathroom using tiles found at such places, so it certainly can be done and can be done beautifully. You can skimp on fixtures, certainly, but I strongly disagree with skimping on plumbing; this is still a utilitarian space and one shouldn’t forgo function over vanity. Another way to save some money is doing much of the work yourself. There are few things more satisfying than a bit of manual labor; though it will likely take more time, it will be an investment. A little bit of blood, sweat, and tears can certainly go a long way, especially if it’s something special such as painting or laying tile. 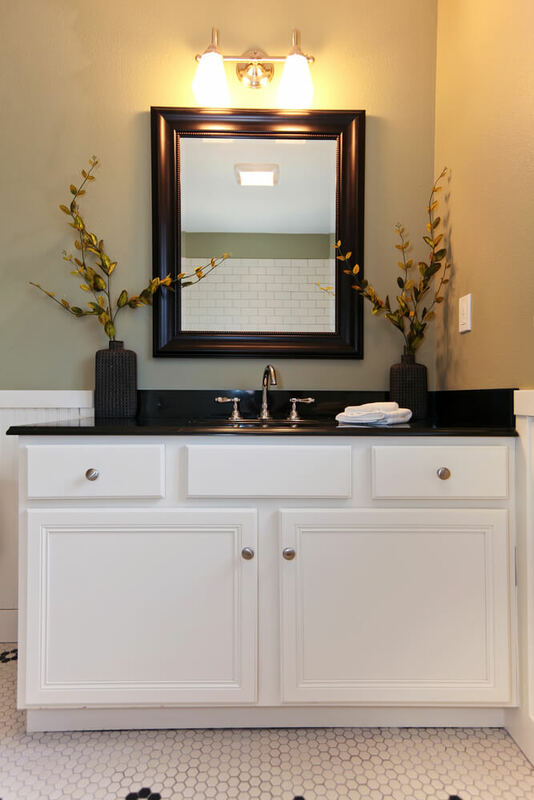 While I wouldn’t recommend performing any plumbing yourself, the fun finishes like installing a granite countertop or your new sink fixtures is highly satisfying at the end of the day, and will certainly save you the money for doing it yourself. 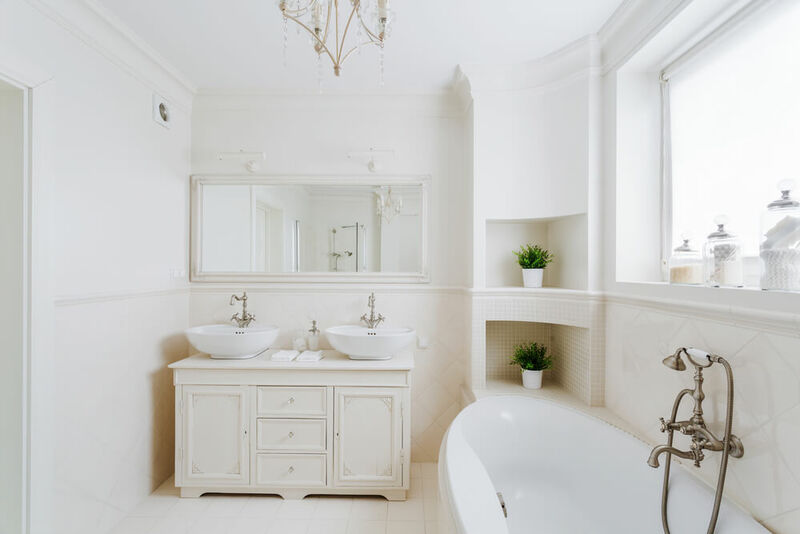 The first question when designing your bathroom you should ask is: “what do I want to notice first?” When it comes to your tub, will you have a three wall alcove or a free-standing soaker? 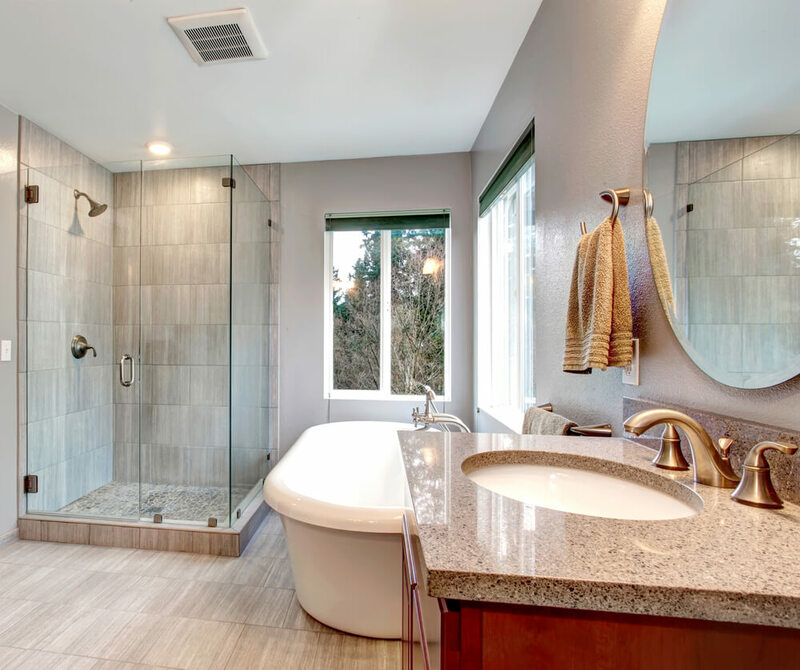 Would you like your plumbing fixtures to be focal points or will you choose something subtle, such as a rainforest showerhead for a walk-in shower? 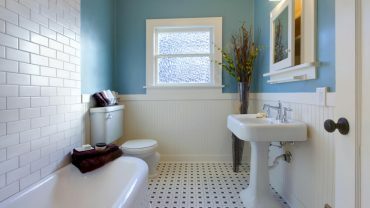 If space isn’t much of an issue, you could have some fun with angles, such as a corner tub and an adjacent glass shower. 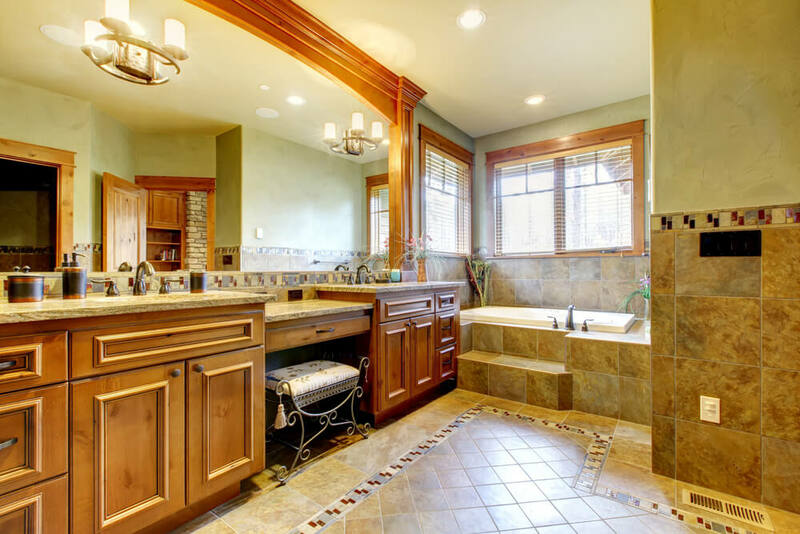 Choosing your plumbing fixtures should not be purely about aesthetics. 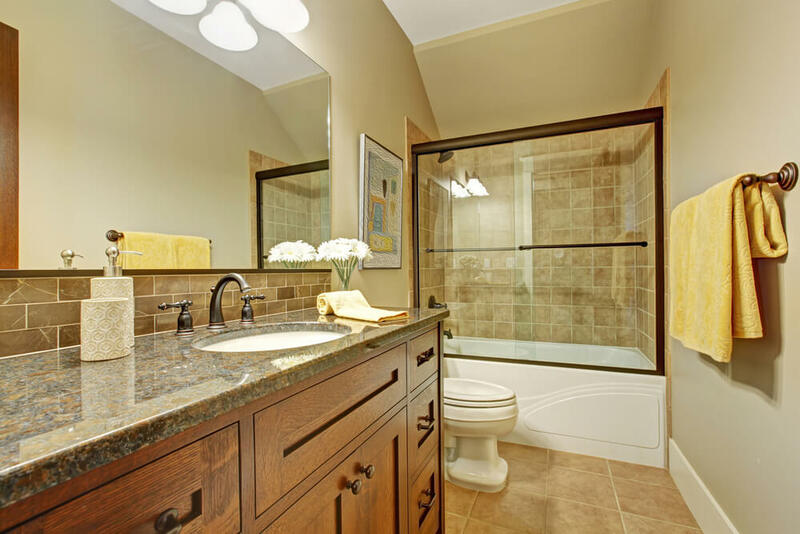 Remind yourself at every turn that this is still a functioning space, and vessel sinks and freestanding soaker tubs are sometimes hard to clean around and under, depending on the placement. You’re in the bathroom for a purpose, and that should not be lost. Even if your purpose is escaping the kids for half an hour while you soak in the tub, it’s still a purpose that must be served. So long as your functions remain unforgotten, your aesthetics are free as a bird to any interpretation you choose.